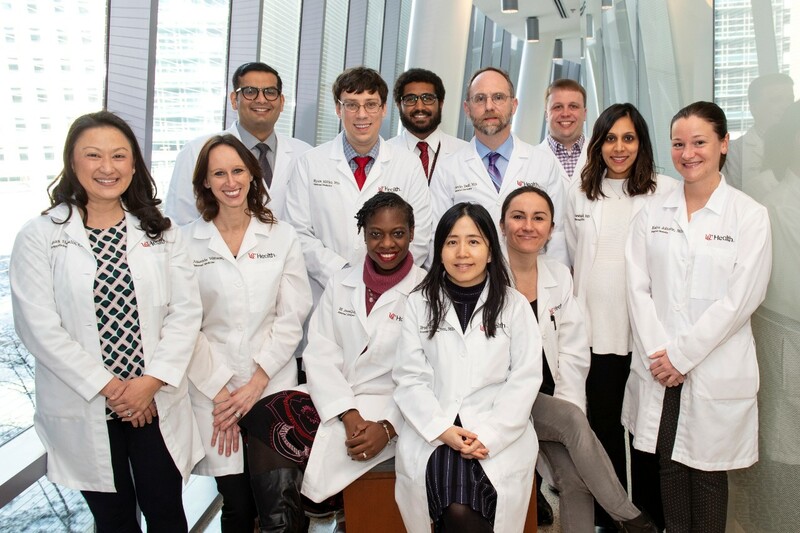 Physician-educators and other health care professionals at the University of Cincinnati College of Medicine are recognizing the importance of the relatively new specialty of hospital medicine during the first National Hospitalist Day set for Thursday, March 7, 2019. The occasion was recently approved by the National Day Calendar and will occur the first Thursday in March annually, according to the Society of Hospital Medicine. Justin Held, MD, director of the Section of Hospital Medicine in the Division of General Internal Medicine, says the UC Hospital Medicine Section includes 33 physicians and nurse practitioners. “Hospital Medicine is a specialty that was born just a couple of decades ago, out of necessity, as system demands for efficiency and throughput became too burdensome for primary care doctors who were tasked with managing their outpatient practices while at the same time managing a full cohort of admitted patients from those practices,” Held says. Hospitalists at the University of Cincinnati are shown in the College of Medicine's atrium. “Hospitals started turning to physicians who wanted to specialize in the care of inpatients. So that is what I do as a hospitalist,” explains Held, an assistant professor in the Department of Internal Medicine, and a hospitalist at UC Health. “I don’t have an ambulatory practice of my own. All my patients are admitted patients at UC Medical Center. Over the years, hospital medicine has developed a niche in which physicians in this specialty see it as their job to improve efficiency in the hospital. Hospitalists at UCMC keep a weekly schedule and are on service for about seven days at a time before handing off to a partner and then returning the following week, says Held. He notes there are patients who have longer hospital stays and will see a particular hospitalist on a more frequent basis. Typically, patients seeing a hospitalist may be under their care for three to four days before they are released to home or a care facility. “Our patients are highly complex, but their care and well-being is among the reasons my colleagues and I like to serve UC Medical Center and the College of Medicine,” says Held.